It’s October already. And that means you really can’t put off the spring cleaning for a moment more. Now, don’t all get excited at once. Our guide to spring cleaning and organising your nursery is bound to help with this somewhat tedious task. It only takes 10 steps…. and one of them involves coffee. 1. Start with a complete room and furniture clean. I know… I’m groaning just thinking about it. But this is the worst step so it’s best to get it out of the way first. Take everything out except the really heavy items. Make a huge mess in the hallway. Then shut the door to your nursery and start scrubbing. Wash the walls. Vacuum the floor. Clean the baseboards. Wipe down the windows. 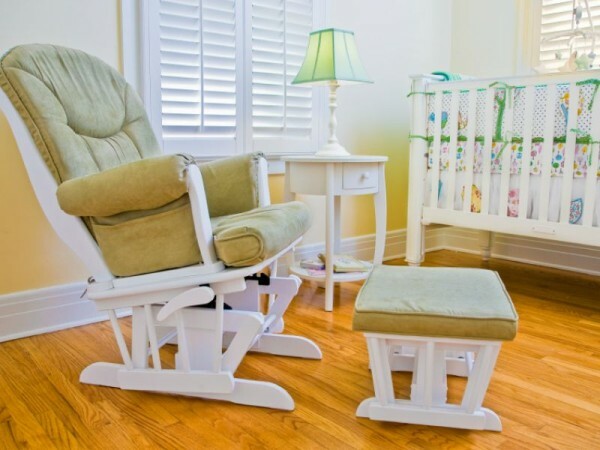 Pull the heavy furniture out and clean the dust that has built up underneath the glider, the change table and the cot. Have three coffees before you do it. That should give you enough energy to finish the job. 2. Swap the seasonal clothes. Before you put everything back into the cupboard, weed out the clothing that doesn’t fit or isn’t suitable for the changing season. There are plenty of ways you can store these items if you want to have another baby down the road or if you are not ready to give them away yet. Vacuum bags work well and you can fit an entire baby’s wardrobe into one small box. 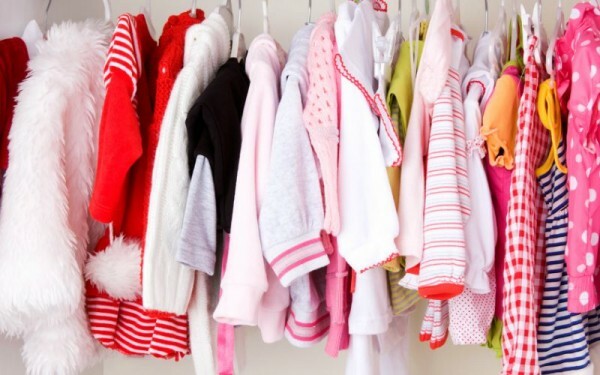 As you are doing a full spring clean, you might as well organise the baby’s clothing in the closet by colour or by outfit, just to be extra pedantic. Take a photo, Instagram it and remember how it looked. Because my guess is, it won’t stay this organised for long. 3. Clean all blankets, sheets and fabric items. Choose a sunny day so you can air them out on the line. 4. Vacuum the baby’s mattress. You may be surprised how dirty it can get so give it a good clean when the sheets are off. 5. Disinfect and clean all the toys. Fill your bath tub up with hot water and cleaner of your choice. Dump all toys that can get wet in and let them soak. Set up a blanket outside and transfer the toys out to dry before putting them away. 6. Avoid having to do this often by creating a sanitation station. 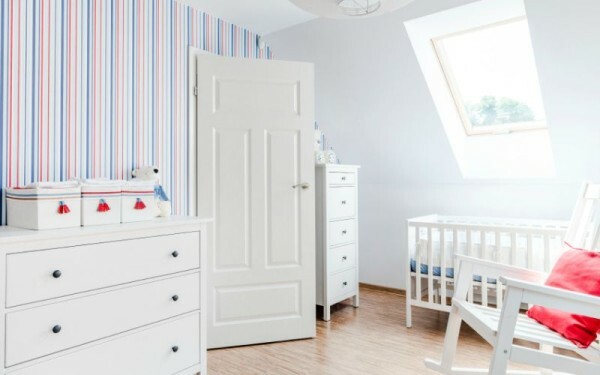 Keep the nursery clean and germ-free by storing sanitation supplies at arms reach and cleaning up every time you leave the room in the morning. Do a simple wipe down of the cot, the toys, the door knobs to prevent germs from lingering. 7. Declutter while you clean. Put any clothes, toys, blankets, bibs and other baby items that are no longer in good condition or you don’t want anymore into two piles – a toss pile and a donate pile. When decluttering, make sure your children are nowhere in sight. As soon as they see an old toy they haven’t touched for eight months go into the donate pile, they will suddenly grow extra fond of that toy. Once you’ve done the hard work, it’s time for the fun bit – organising! 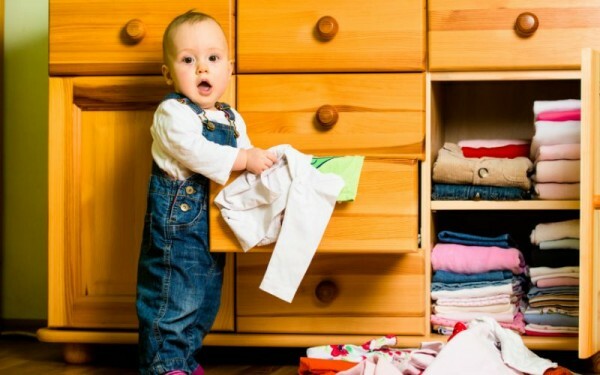 There are so many ways to contain the clutter and organise your child’s wardrobe, toys and change table area. Toys boxes can be great but often they get messy fast. After all, it’s easier to simply throw the pile of mess on the mat into the toy box at the end of the day. Everything should have a home to keep things organised for longer. Personally I love the look of baskets of all shapes and sizes but this will depend on your style and the look of the nursery. 9. Think outside the organisation box. 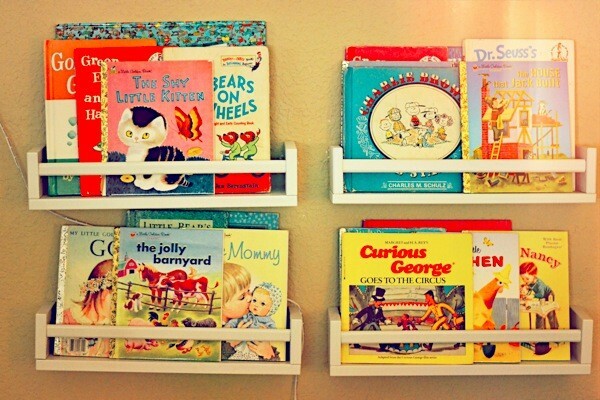 Ikea spice racks, for example, make excellent shelves for books, craft material and even shoes. Once you’ve cleaned the nursery, shut the door and avoid the urge to go in until that night. That way, it will stay perfectly clean and tidy for at least a day. Have a browse through our storage section for some great organisation finds. And, make sure you check out our Show Us Your Nursery section for real readers’ nurseries that are so clean and sparkly, it will make you want to swap houses.